We’ve all heard “Experience is the best teacher.” But I’ve met a lot of people who’ve got lots of experience, but still make some pretty dumb choices. Sometimes I’m one of them. 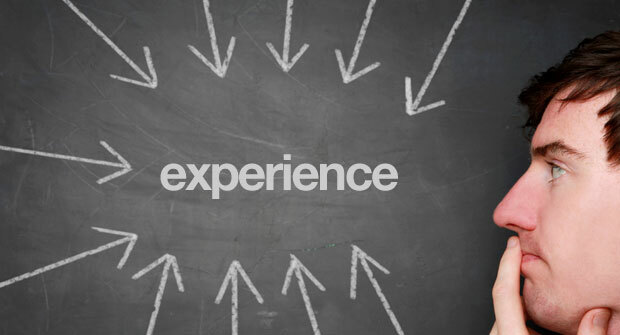 If experience isn’t the best teacher, then who is? It’s Robin Williams in Dead Poets Society. Experience isn’t the best teacher. Evaluated experience is the best teacher. And that experience doesn’t always have to be your experience. If someone’s tried something you want to try, find out how things went for them. If it bombed, investigate why. If it was awesome, figure out what they did that worked well. Want to be a great parent? Find out what great parents you know are doing, what they wished they hadn’t done, and do the things their glad they did and don’t do the things they wished they hadn’t done. Want to make lots of money? Find out what really rich people do and don’t do and do and don’t do those things. Want to be a great leader? Find out what the really great leaders in what you’re doing are doing and do those things. You can’t always grab coffee with these people. But you can read their blog. Or friend them on Facebook. Or read their books and articles. Or check out their websites. Chances are someone is doing something you already want to do. Learn what they did and make it work for you.